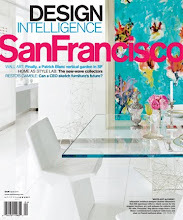 Come with me for a first look at the new and ultra-private apartment of Federico de Vera, the highly talented founder and owner of de Vera, the ‘insider’ art and jewelry and decorative arts galleries in San Francisco and NoLiTa. I’ve known Federico de Vera for many years, since he founded his first ‘objects gallery’ in San Francisco. Federico has the most fastidious, fascinating, and fabulous eye in the design world—and his shops have gathered a very rarified coterie of like-minded collectors, including Giorgio Armani, Karl Lagerfeld, and editors, film directors, gallery owners and curators, stylists, artists, designers, architects and style-followers around the world. 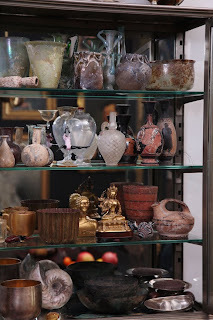 His mysterious shops are cabinets full of antique décor, paintings, and very curious curiosities. 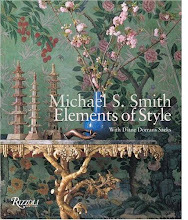 His art is to display and illuminate rare and lovely and arcane beauties in vignettes and tableaux and antique cases. 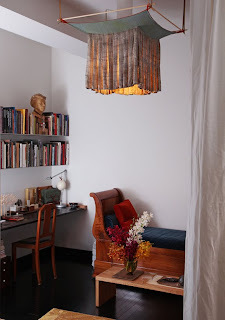 Almost an extension of his galleries, Federico’s apartment offers rooms of delight and originality. Come with me on a magical mystery tour, as we head to Lower Manhattan, and a newly completed private apartment that has never been published. I sat down for a chat with Federico de Vera recently. Join us for a few moments to learn more about Federico’s vision—and to be inspired. DDS: Where is your apartment exactly? FDD: We are at 20 Pine Street, in the Financial District, a block away from the NY Stock Exchange and Wall Street and behind the Federal Hall, which was the first capitol of the United States. DDS: What's the history of your building? FDD: It was built in the 1920's and recently been converted into condos. The building was designed, with Egyptian motifs, by Graham, Anderson, Probst & White as the headquarters of the Morgan Guaranty Trust Company, a predecessor firm of J.P Morgan Chase. Graham, Anderson, Probst & White was the successor firm to Daniel Burnham's firm whose famous and very influential buildings include the Rookery, Monadnock, Reliance, Wrigley and Merchandise Mart buildings in Chicago and the Flatiron Building in Manhattan. DDS: What do you love about it? FDD: The neighborhood, history, and the simplicity and integrity of the building. We are in the financial capital of New York (or the world), but we have found it is a very pleasant and peaceful place to live. Sometimes it has a the feel of old Europe with it's old buildings next to 21st century structures. At times you even hear church bells coming from nearby Trinity church, which is the oldest parish in Manhattan. It is very close to Tribeca with all its great restaurants. Luxury shops like Hermes, Tiffany, Maison du Chocolat and Pink have opened nearby in the last 2 years. DDS: Did you have to do a lot of remodeling and restyling? FDD: The layout and finishes for the entire building were specified by Armani Casa, so that meant quality basic foundation that my partner Randy and I built on. 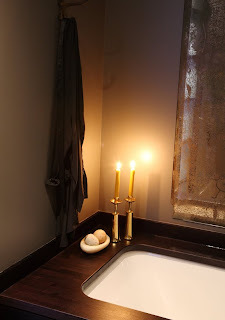 Aside from paint colors, mirrors, glass divisions, built in bookshelves, extra cabinets and closets, curtains and shades, we didn't have to move any walls or take down any tacky fixtures as one would normally do in almost any old or new construction. This was the only place we looked at where we felt like we could move in without doing any major alteration. Regarding decorating, it's a different story. Since it's our real first residence as a couple, everything from the colors of upholstery to the placement of objects needed to be approved as a committee. It was almost like Randy was the client. It was sometimes difficult especially for me since I don't work for anyone. In the end, it worked out perfectly. DDS: What are your favorite collections? FDD: I don't intentionally collect but inevitably end up with a collection of a certain type of objects that tend to serve the same purpose, come from the same period or artist, or made of the same material: chairs, portraits, figurative and religious paintings and sculpture, candlesticks, Roman and Greek glass and ceramics, Venetian glass, books, and enamels by June Schwarcz. DDS: Which piece do you love the most? FDD: That's a tough choice. I love every single piece we have at home. They're here for a reason, whether I've rescued them from my shop or obsessed about for months before acquisition. I tend to bring home things that I've had for a long time in the shop and had not found their new owners. And once they're here, they probably won't be leaving for a long time. DDS: You're a life-long collector. FDD: I started collecting shells and driftwood as a child, and then dabbled in little antique trinkets as a teenager. When I first moved to San Francisco, I started collecting rocks and rusted objects. Sometimes I feel like I have to exhaust the knowledge and resources before moving onto the next territory. 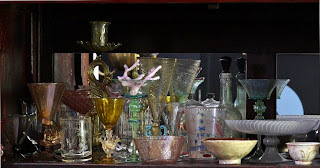 My obsession with objects is like life itself - always changing as one matures. DDS: Are you constantly editing, or have the rooms been the same from the start? FFD: The paintings tend to stay in the same place (after all that deliberation involved in the installation! 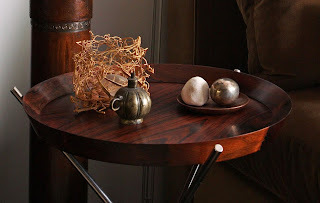 ), but the objects tend to shift around especially when new things or furniture are brought home. Mostly, they just get "nudged" into place. When that doesn't work, they get relegated to the storage or the country place. DDS: Advice to collectors on displaying and presenting their favorite things. 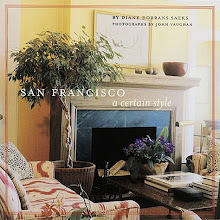 FDD: 1) To avoid looking cluttered, always group objects with the same material, form, historical context or sometimes color in the same space, table or cabinet. 2) Be ruthless in editing objects that don't work with the group. Most probably, those objects need to have their own space. It's much easier to edit an arrangement rather than integrate something that really is not working. 3) Try telling a story by the arrangement of the objects. Let them talk to each other or make up an imaginary scenario. DDS: I love the collection of portraits—especially the mix of fine old and new. FFD: I have collected pictures of people, new and old, historic and contemporary, for a long time without necessarily having the space for them, so they were mostly in storage. I just couldn't pass up a good portrait. The long wall provided the perfect showcase and the random (though studied and duly deliberated with Randy) installation allows for easier integration of new paintings. Sometimes I feel like we're having a party and sometimes I feel like these people are all looking out their windows telling me something from a forgotten time. 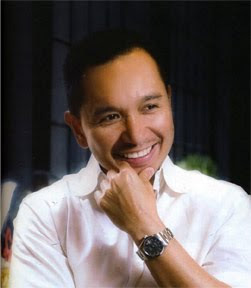 DDS: Thank you, Federico. It’s always a great pleasure to see you—and to dream of your beautiful and poetic collections. They always set me dreaming. 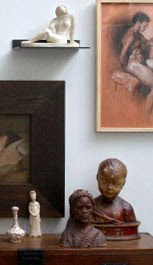 Next week we'll be visiting your wonderful de Vera gallery in Soho. Photo credits: All photographs by New York photographer Don Freeman, used with permission. What an extraordinary apartment, but I would expect no less! I especially love the antique doors set into the wall of mirror.Striking collections everywhere: i would love to attend a party there! DDS -This is absolutely one of my favorite posts that you've written! 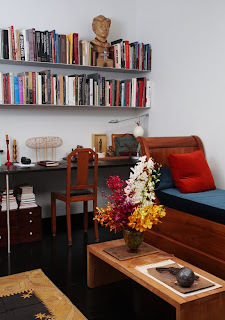 Frederico de Vera's apartment is spot-on perfect! 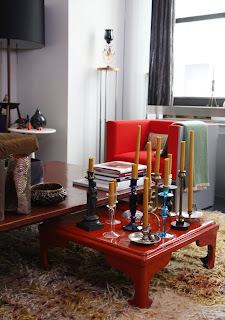 The colors, the collections, the furniture, the arrangements.... everything is simply beautiful. Also, Frederico's advice is though provoking and inspiring. Thank you, thank you, thank you for sharing!! Going to de Vera in Soho is like going to church for me. This was an incredible treat. Oh my! My favorite is the black wall with the portraits on it. How stunning!!!! What an original. Just beautiful. I was intrigued by the fine, old and new portraits, I was pleased you mentioned that. I did enjoy his answer. Such an interesting and clever man. 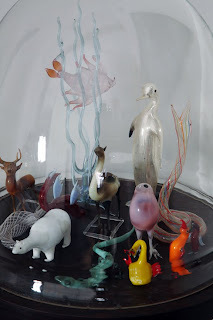 Good Morning Scott-Thank you so much--and be sure to tune in next week as I will be showing glorious (exclusive) images of Federico's shop/gallery/exulted space in Lower Manhattan (NoLiTa...just near Ted Muehling's fab gallery. You will adore. JONI, DEAR--Thank you...and I knew you'd love the portraits--with modern and old all intertwined. I love the way they are hung on a dark dark dark wall with a bit of ancient sheen...and I love his mix of frames as well, which makes the point even stronger. 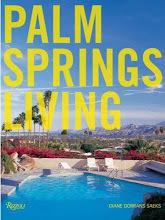 Dustjacket, Dear--lovely to hear from you, from a distance. You are so visually attuned, so it's lovely to see your reaction. I am always happy to see that you wrote a new post! 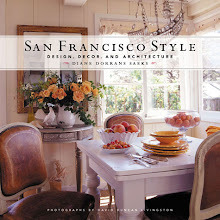 It is always so surprising and through your blog I am learning so much about art and designers! This post is again a great one! 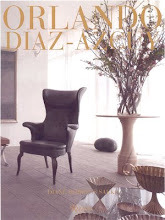 I love to learn to know new designers and collectors as Federico de Vera! 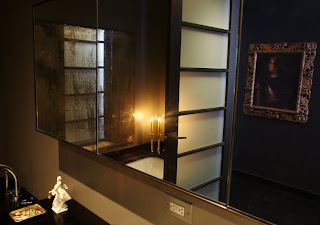 I love the picture where Federico placed the painted door in the mirrored wall! Thank you Diane for this wonderful post! 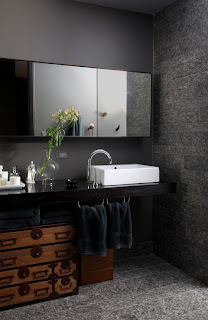 The favorite for me is the bathroom - the tansu glowing in the overall grayness, and that little dancing figure - beautiful. Diane what a pleasure to view this exquisite residence. 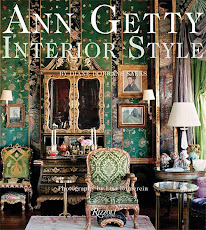 The collections are all amazing, as Joni said the portraits, and I love the Santos as well as the candlesticks on the Red coffee table. Thank you for sharing. An intriguing designer/ couple. 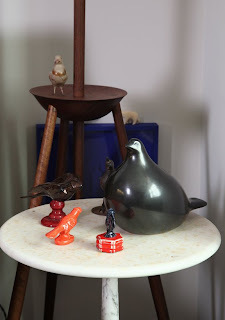 It had just come to my attention that you had listed my fledging, and sadly somewhat neglected blog on you listing of favourites. Well, I am bowed with the honour. And, I thank you so very much. I had just received several kind emails from other serious bloggers, encouraging me. Today, I sat down to some serious work, but somehow, due to my user error, or a computer compromise, "Talitha Love" has disappeared, and I can not find her. As Google will not allow me to access Talith any longer, I am now listing under my professional name, "Thea Bealsey". I hope that you will update and that my newfound zest for this adventure, due to your kind nod of support and that of others, will be of interest to you. Thank you so, and the past 2 interviews have been stellar, each place I religiously visit whenever I am in NY. I loved Mrs. Blandings comparing deVera to church. Absolutely! i love the unique and varied collections. such personality, displayed so well. Thank you for your lovely comment. Imagine this apartment in lower manhattan...among the office buildings and old handsome mansions. It makes it even more magica. Karena--you changed your portrait? Yes, everyone loves the concept of the mixed modern and old portraits and the subversive Superman. I think this 'portrait wall' will be copied a lot. Thank you for your message--and many more. Thea--So great to hear from you. Yes, some months ago, I found your blog and liked it very much...and then you kind of went away. So pleased to hear from you--and I will readjust. I will find you again...especially if you send me a reminder. I am going to working on my blog roll...I'd like to add more of my favorites. Christian--thank you so much. 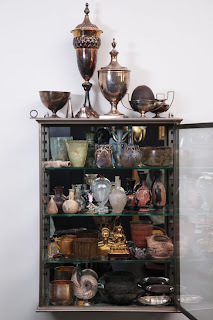 Yes, he has the ultimate 'eclectic' collection of collections. 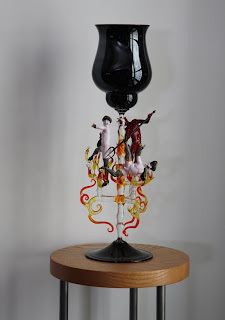 Did you notice the wonderful VENETIAN GLASS piece...the tiny figures in motion. I have never seen such a beautiful piece, even in Venice. Please be sure to check in next week--and, as Mrs Blandings said so eloquently, we will 'go to church' to de Vera's shop. It is truly inspiring and a spiritual experience. MRS BLANDINGS: Your comment about 'going to church' when you visit de Vera's store is going to resonate next week! 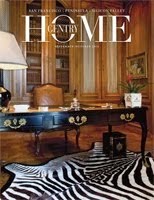 I will be showing some totally beautiful shots of his store--the collections, the details, the setting. You will be in heaven--and it will be a spiritual experience. I think this post is a perfect example of how collectors can put together things and have them really enhance an area. 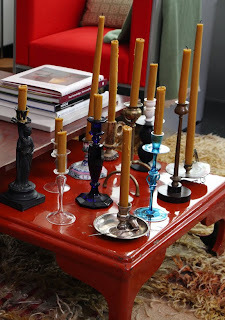 The assorted candlesticks in abundance on the table, the one vase in the 9th picture reminds me of Nicki de Saine Phalle, and I liked the two French doors surrounded by mirrors. By the way I have to apologize for not contacting you back sooner after your very kind words on my blog. We were breaking in a new laptop and one e-mail took me 45 minutes. 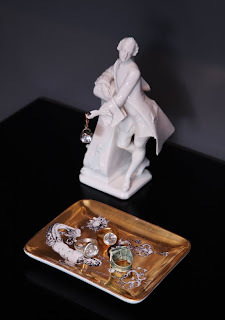 When I got back from across the pond I got a chance to see your blog and went back through..It it beautiful and I loved your piece of the Hotel Recamier. You got me hooked!!!! I have signed on as a follower and put you on my blog list...I am very flattered with your extensive design background to have been recognized by you. I look forward to your next post!!! 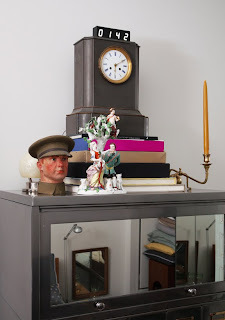 It is wonderful to see an obvious collector not give up his collecting in the spirit of minimalism. These types of intimately personal pieces are so representative of who we are and are so important in creating our personal spaces. Beautiful space. Beautiful blog.Thank you. I really can't add too much to what others have said so eloquently. There is definitely a European flair to this home. 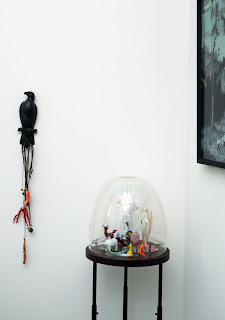 It has life thanks to the very personal collections that are displayed everywhere. There is so much to see and to absorb...I think I'll be visiting this post often over the weekend. Hello, Maryanne-thank you for your thoughtful note. 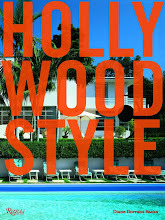 I love your blog--and I'm so happy you dropped by THE STYLE SALONISTE. 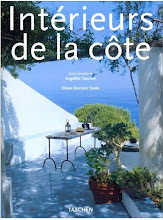 Dear Author--I love your blog and so appreciate that you recommended THE STYLE SALONISTE to your readers. You are right: these images of FEDERICO's apartment are like his biography, or really his autobiography. Good Afternoon, Jennifer-So pleased you are back from Belgium. We missed you while you were gone. 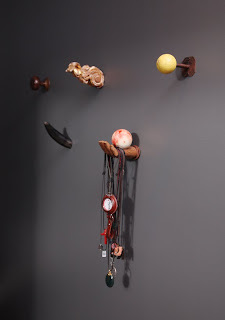 I agree with you that Federico's collages and collections and objects and gatherings and placement all deserve (and reward) closer inspection. 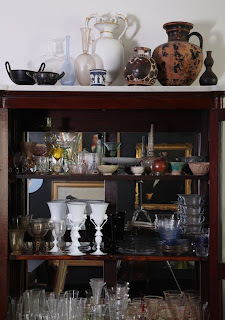 Next week--closer looks at the beautiful and uplifting details and objects in his glorious store/gallery in New York. Such a serene and thoughtful place. I especially like how Federico feels his old portraits are telling him something from a forgotten time. Diane, thank you for such a wonderful interview. 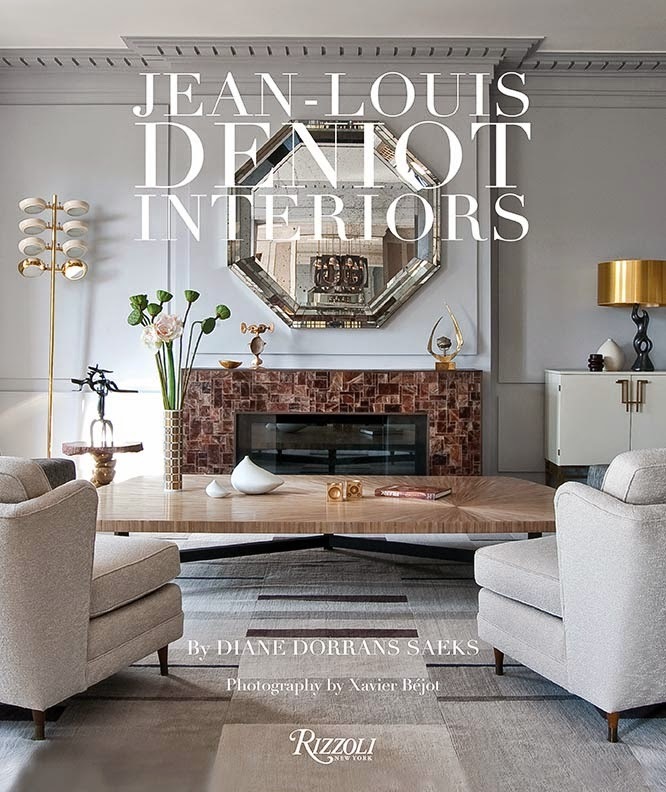 So delighted you liked de Vera's interiors and collections. I placed the image of portraits in a collage at the top of this feature--because I knew my friends and readers around the world would love it and be inspired, like you. This provocative mix of old and new portraits, and old and new frames, has been commented on and noted. I'm so pleased. 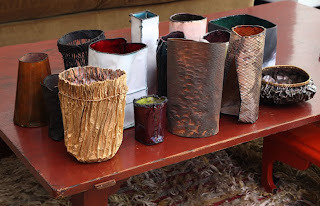 Next week, be sure to come and visit DE VERA the gallery, for more inspiration and delight. 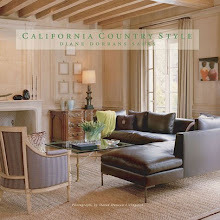 Coleen--I love your site and blog. Will add to my favorites. What a wonderful interview. 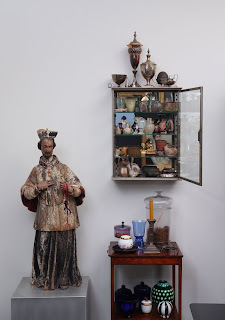 I love going to de Vera in San Francisco and salivating over the fantastic objects and oddities. Federico has such a rare talent. 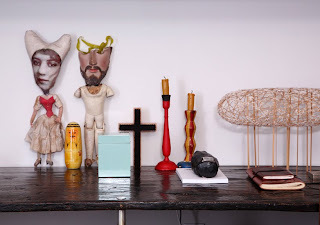 I too collect quirky items that speak to me and if I could only display them half as well as Federico...I would be delighted. 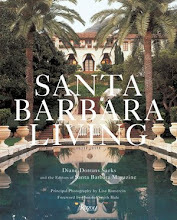 whenever i could, i'd duck down maiden lane to de vera and admire all the beautiful treasures...and now to see this exclusive peek into their beautiful private world has my head spinning. I had never entered the world of Federico de Vera until I read your fascinating piece. Wow! I cannot wait to visit either New York or San Francisco. 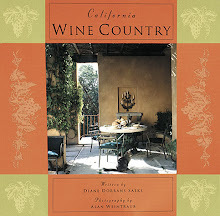 Diane, this is a beautiful compilation of home and work- how the 2 overlap. So well said about the guardianship of objects that de Vera feels and his taking things home and why. I am intrigued by the overall brightness and modernity of the home and happy colours- would easily have imagined darkness and shadow but No lively greens reds, loving the daybeds especially that iron with the green covering- gorgeous, a small corner with a emerald silk pillow would do nicely here too.